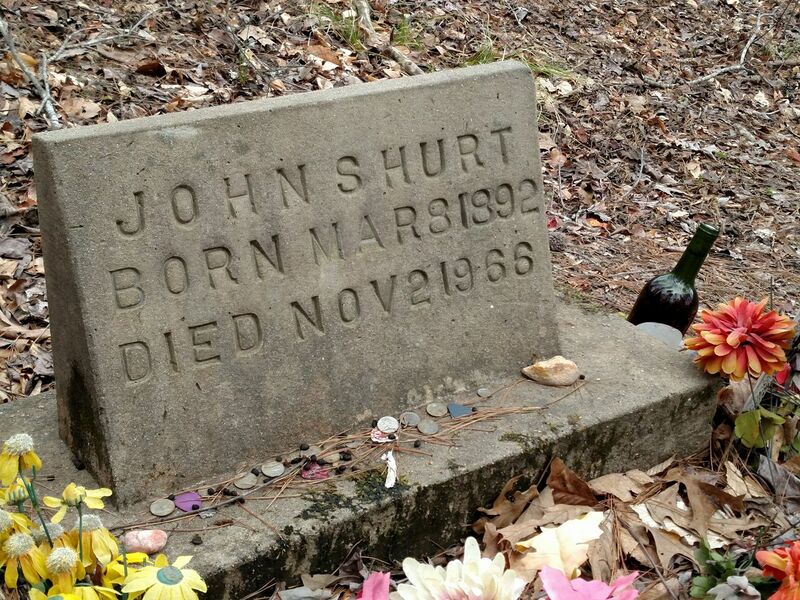 VALLEY — Vividly colored fallen leaves mingle with the mementos visitors leave at John Hurt's headstone during their pilgrimages to his grave. 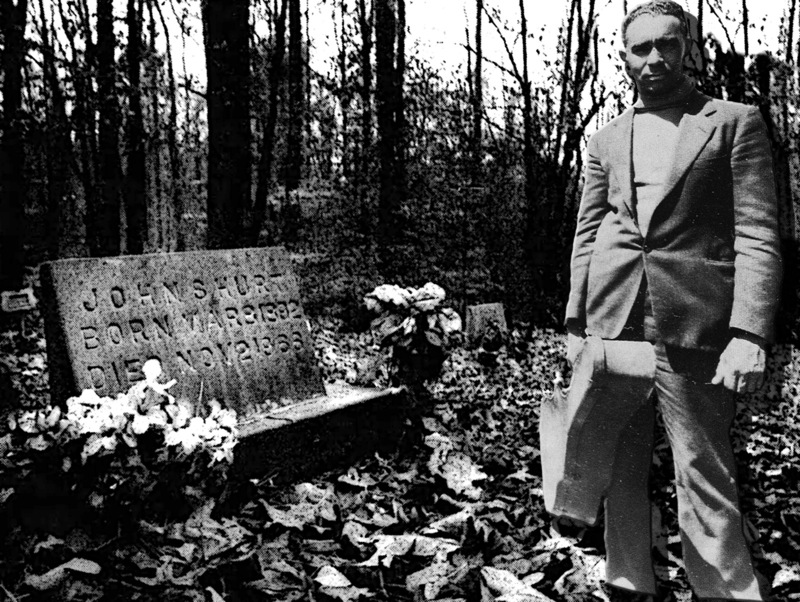 The remains of the internationally-respected blues musician and recording artist lie in the tiny Hurt Cemetery a couple of miles down the narrow, wooded St James No. 1 Church Road. Flashes of hunter's orange, sounds of rifle shots, growls of four-wheel drives interrupt the solitude these days. Tires from increased traffic damage the simple roadbed — facts which figure in opinions about whether Carroll County's District 2 Supervisor Honey Ashmore should treat this largely ungraveled road as public or private. Ashmore says that, while his crew works the road, winding northerly along the edge of Valley Hill five miles above Avalon, a couple of times a year. he doesn't consider it a public road. New residents Brady and Shannon Smith, whose mobile home is less than a mile south of the Hurt Cemetery, are among those who say otherwise. What's more, the Smiths say, it's a shame the county seems to care so little about landmarks such as Hurt's grave, which attract pilgrims off and on during the year — and would probably bring more if directional signs existed. "Seems like if there's an active cemetery on it, it'd still be a public road," said Charles Spain of Greenwood, who bought property adjacent to the cemetery in the spring. The old road's in pretty bad shape now. Plus, it's raining, and first day of deer season's tomorrow," Spain said Friday. 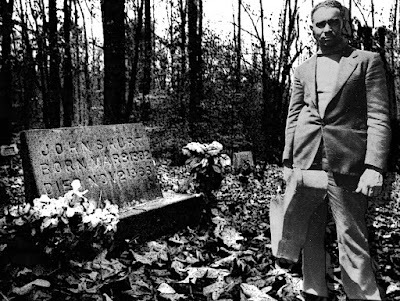 Before people started buying land here, and putting up homes; before two hunting clubs acquired rights on acreage down the road from the cemetery, the spartan quality of the upkeep suited the traffic and the silent tenants of Hurt Cemetery. No longer, agrees longtime Valley resident Jerry Carver, who hunts along with his brothers in the woods surrounding Hurt's grave. "So many people have bought land around there it's hard to keep up," Carver said. 'The road is definitely in bad shape." Mrs. Smith said in order for a burial to take place last year —that of Andrew Hurt, who died April 8, 1996 — a front-end loader had to be used to scrape up the mud from the road. Prior to moving to Valley in July, Mrs. Smith said, she'd never heard of John Hurt. Even now, she said, "I have no idea what his recordings even sound like." A California man, who was one of the frequent pilgrims looking for the cemetery, sent her information about Hurt. The musician's "Avalon Blues" and "Candy Man" are among blues classics. Her husband estimated that seven to nine tourists come by their house some weeks. On other weeks, there might be no tourists. The Smiths' home is the last residence on the road before reaching the cemetery entrance, which is marked with colored plastic ribbons. The cemetery is on the west-ern side of the road, at the back. The Smiths' trailer is on extensive-ly landscaped grounds on the east-ern side. `They go to the grave and leave things, take things," said Mrs. Smith. Last week, there were some coins, a couple of guitar picks, and one strand of yellow Mardi Gras beads at the base of the simple marker. "There's usually more here than this, a lot of guitar picks and more beads." 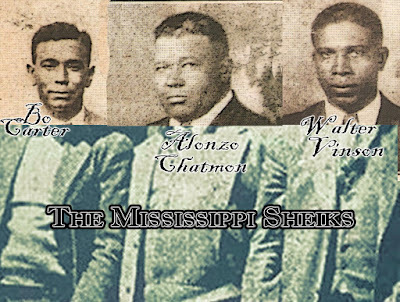 Hurt, born in 1892 in neighboring Teoc, used to worship at the first St. James Missionary Baptist Church across the road from the cemetery. It eventually was torn down. A new St. James was erect-ed, according to Lucille Hurt, the widow of Henis Hurt, another famous cemetery resident, "under the hill." St. James No. 2 is still being used. Mrs. Henis Hurt, in an interview 12 years ago, spoke of her late husband, who was the blues musician's older brother. John was a beloved singer and guitarist, worked as a tenant farmer for A.R. Perkins to the east, past the old Valley School, at the going rate of $3 a day. Henis Hurt was a "distiller" and sometimes farmed, Lucille Hurt said. He died in 1969, going blind in 1968. 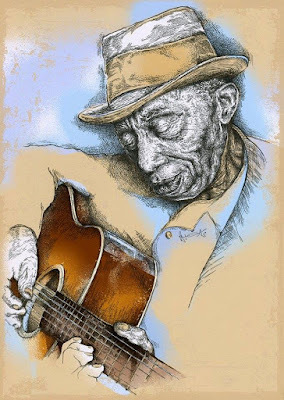 Born in 1887, he made moon-shine and was jailed a few times, once in a federal prison in Atlanta. Later. he claimed to have made whiskey in prison from "the top man." Old-timers recall Henis Hurt's artistry with bootleg whisky. 'They'd arrest him every now and then, but the big shots in Greenwood would go bail him out," said Arnie Watson, a North Carroll-ton man who remembers both Hurts. "He was their bootlegger." A compact disc released Oct. 7 by Rounder Records Corp. should inform a new generation of Hurt's plain but complex and winsome style. "Legend" includes 14 songs originally recorded in 1963 and 1964 for Tom Hoskins of Music Research Inc. Other Hurt titles available from them are "Avalon Blues" and "Worried Blues". Songs on "Legends" range from 'Trouble. I've Had It All My Days" to "Coffee Blues", "Pay Day" and a cut titled "Stack-O-Lee", which sounds for all the world like "Stagger Lee". Some would say nixie of the songs. all richly rewarding. quite top the incredibly brief "Do Lord Remember Me". It's like a prayer, and Hurt the angel, asking God's blessings upon anyone who hears him.